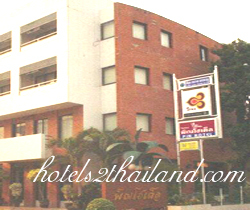 Pin Hotel Lampang Address : 8 Suandok Road T.Suan Dok A.Muang Lampang 52100 Thailand. 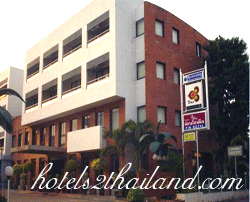 Welcome to Pin Hotel Lampang is a 10-minute drive from Lampang Airport and Lampang Bus Terminal. It offers clean and comfortable rooms with a private balcony and free Wi-Fi. The property is 50 metres from Kong Lah Market. It is 20 km from Phra That Lampang Luang. 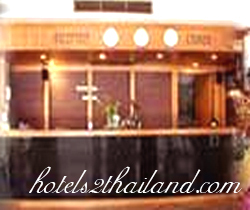 The hotel is equipped with a tour desk and massage service. Staff at the 24-hour front desk can assist guests with shuttle and laundry services. Free private parking is possible on site. Rooms come with a cable TV and minibar. Shower facilities are included in an en suite bathroom. 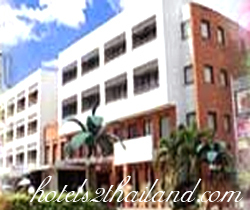 Lampang is not Chiang Mai and the choice of hotels are limited. I have stayed at a few of them and this i think is still the best with some reservations.Attention to detail is poor in all areas of service and cleaning.We usually pay extra for a suite Bht 1400 per night. Internet is Bht 300 for a week. Breakfast is ok apart from horrible fake juice.For all the cons the pros are the rooms are quite nice,the hotel is very central and one of the best restaurants in town Aroy One Baht is on the corner. In a quiet side street so good for a peaceful night's sleep. 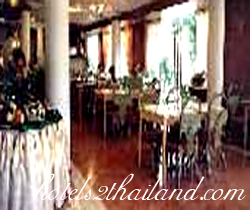 Close to the centre of town, the river with its bars and restaurants and the temples. Friendly and helpful staff. Good coffee shop. In a quiet back street far enough away from the traffic to be peaceful but still only minutes walk from the old city and the night markets. Really helpful lady on reception and good value food.